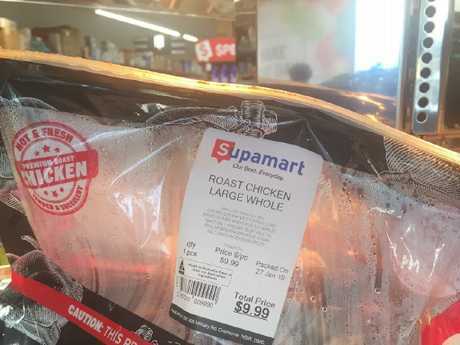 EXCLUSIVE: What was once the hottest of the supermarket battles - who had the cheapest chook - is now officially over. Coles has buckled and raised the price of hot chickens from $9 to $10, following the lead of Woolworths which did so last month. Coles confirmed to News Corp Australia that the price hike was due to increasing production costs including for grain due to the drought. Shoppers expressed their fury on social media, with one saying on Facebook: "So much for down, down and staying down". Coles and Woolworths have been at war over chicken for three years when they cut prices from $11 to as low as $7.90. Coles has raised the price of hot chickens from $9 to $10. But both supermarkets increased the price from $8 to $9 in March last year. The latest increase confirms that they are no longer prepared to use cooked chooks as "loss leaders" to get customers into stores. IBISWorld Senior Industry Analyst Nathan Cloutman told News Corp that Coles and Woolworths need another tactic to get sales other than cheap chicken. "Cheaper isn't the best way forward as they are going more and more into their own profit margins," he said. "The deli counters and bakeries are trying to get into fresh foods and bring in consumers and look at other ways of getting people in. "They are also offering more online with Click & Collect to make it convenient." He said a new point of competition for them could be selling more free range and organic BBQ chickens, which is growing in popularity. A recent IBISWorld poultry processing industry report found free range and organic chicken makes up 25.8 per cent of the market. "Consumer preferences have changed over the past five year. Rising health consciousness and growing concerns regarding additives in food have driven greater demand for organic and free-range poultry meat," the report stated. But others are still willing to discount to generate extra business. 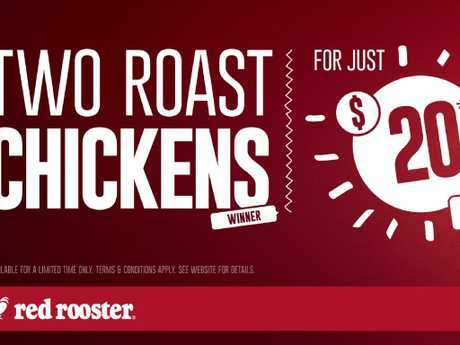 Red Rooster is selling two roast chickens in its restaurants for $20 in a deal targeted at families who need something for dinner and lunch the next day. Red Rooster CEO Nick Keenan confirmed to News Corp the deal is being extended through to March 13 and will also be available via its website for home delivery from February 11 for a limited time. 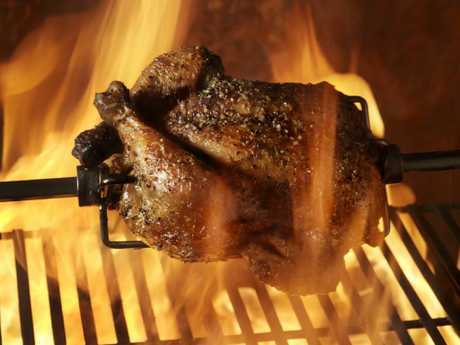 Red Rooster is selling two roast chickens in its restaurants for $20. 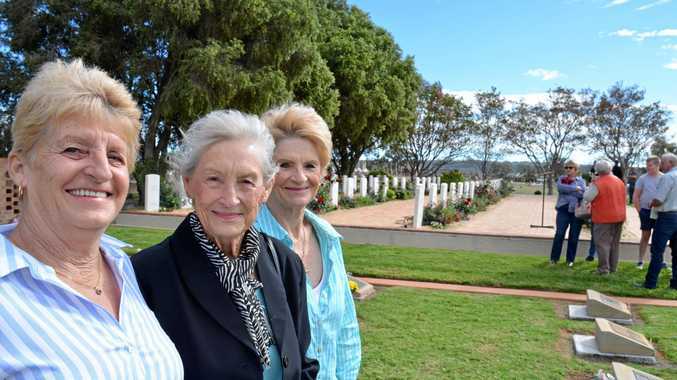 "People are a bit cash strapped and time poor, so this is customarily a time when families reset and are seeking out genuine value," he said. 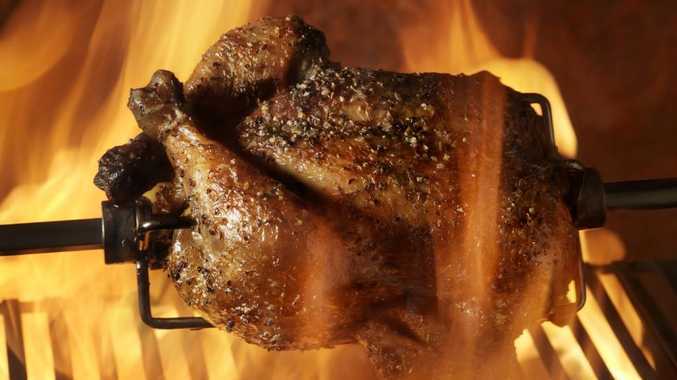 A Red Rooster roast chicken usually starts from $12.99 in restaurant and $17.99 via delivery. IGA stores also sell roast chickens for anywhere from $7 to $14.99 depending on size, weight and if they're on special. Prices are not as uniform like Woolies and Coles because stores are individually owned. Lenard's Chicken founder Len Poulter told News Corp they also sell hot chooks at some of their stores for $12.99, but they are more focused on delivering "added value chicken" products. "The price of chicken has to go up or the industry will destroy itself, it's been a loss leader for Coles and Woolworths for too long," he said. Mr Poulter is rolling out new premium pre-cooked, frozen and chilled chicken products that can be picked up at IGA stores including chicken sausages, kebabs, fillets, fresh kievs and sausage rolls. He is also creating a new app this year and will offer home delivery. "Mum has been our core customer we've got to bring her prep time for dinner down to 10 minutes from 20 minutes but still give her high value products for the family," he said. The price war comes as data from the Department of Agriculture and Water Resources Agricultural Commodities report confirmed chicken is Australia's favourite meat with strong demand supported by income growth and a preference for "low-cost, versatile foods". Chicken meat production is projected to increase to 1.4 million tonnes in 2022-23, and Australians' chicken meat consumption per person is projected to reach around 52 kilograms, despite competition from beef and pig meat. This represents around 45 per cent of total meat consumption, up from 40 per cent seven years ago.